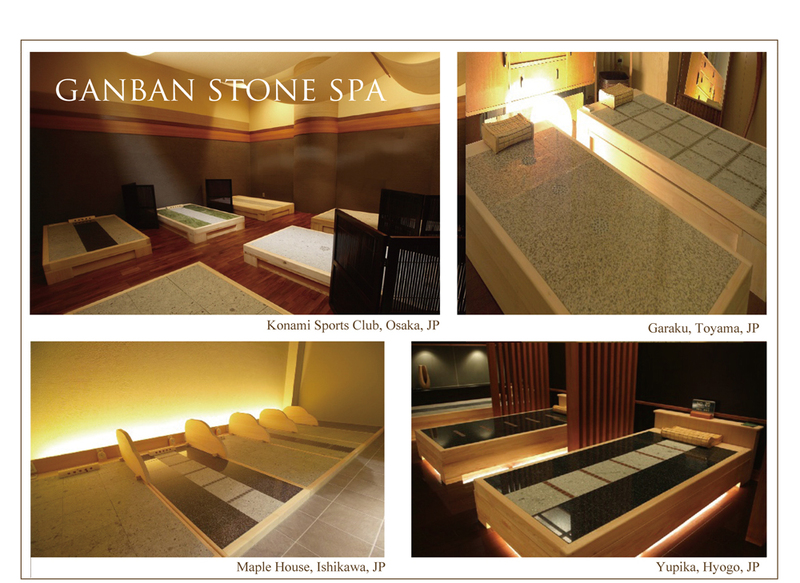 Ganban Stone Spa Standard - Healing co.,ltd. What is Ganban Stone Spa? far-infrared rays, negative ions, low level radiation (hormesis effects), etc. from bio-positive stones. In Ganban Stone Spa, you will never feel suffocated as some people do in a sauna or a hot bath. 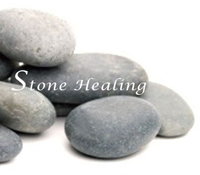 The people of all ages can enjoy natural stone spa treatments which promote health, healing and relaxation. Let yourself indulge in a dream-like moment with Ganban Stone Spa. "Ganban Stone Spa" is our original spa appliance which we developed during an overall research for natural and genuine healing materials. This quest for healing had begun when our company owner found his loved one seriously ill because of terinal cancer. Our stone spa is based on Japan's famour hot spring; Tamagawa Onsen in akita prefecture where patients (including those of cancer) visit from all over Japan for curing their illnesses. In Tamagawa Onsen, along the shores of the river, people lie down on geothermal rock plates (radium ores), slowly take in the healing energy of stones and heal themselves. Ganban Stone Spa is developed and designed so that we can receive as much benefits as possible of far-infrared rays, of negative ions, and of low level radiation, etc. from those bio-positive stones. We always want to stay just and neautral. There are various kinds of excellent stones in Nature; some of which are health effective, others are full of characteristics, etc. Among all these, we choose to stay neutral without persisting in a certain kind of stone. This is because we, who have been involved in the healing business for many years, are aware that there is no advantage and disadvantage in the nature and that everything has its own goodness and characteristics. This is our basic and general understanding about Nature. We also believe that our customers have a freedom to choose what they like according to their taste or compatibility. We think it will help our customers enjoy more by selecting our products from abundant options of Stone Spa with various stone combinations. It will also be enjoyable that you will choose 5 different kind when you buy 5 beds, or 10 different kind for 10 beds, or renew a type of stone beds regularly. For customers also, they can experience various kinds of stones or materials one after another, can find something fitting for them, or they can choose a bed according to their physical conditions. Hot Stone Low Bed "Yumedoko"
Copyright © HEALING. co.,ltd. 2012 All Rights Reserved.